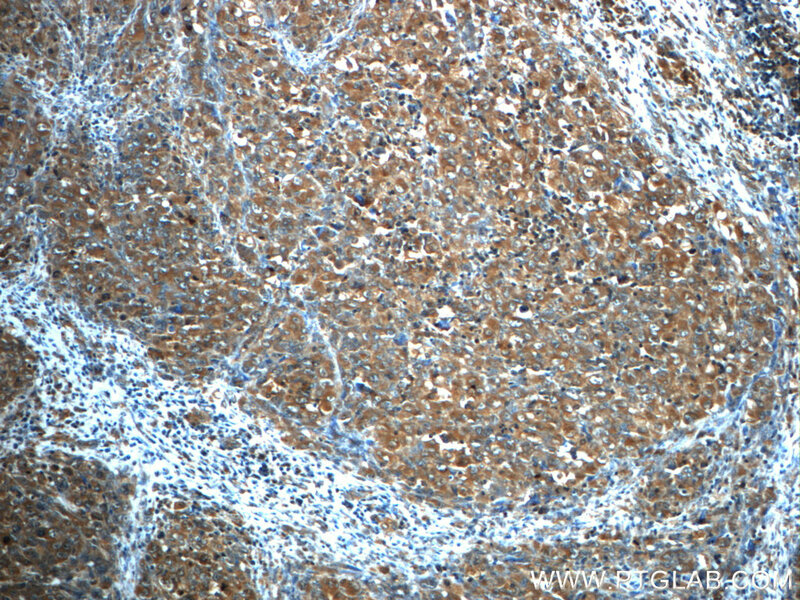 Immunohistochemistry of paraffin-embedded human lymphoma tissue slide using 60321-1-Ig (ALK/CD246 antibody) at dilution of 1:50 (under 10x lens). 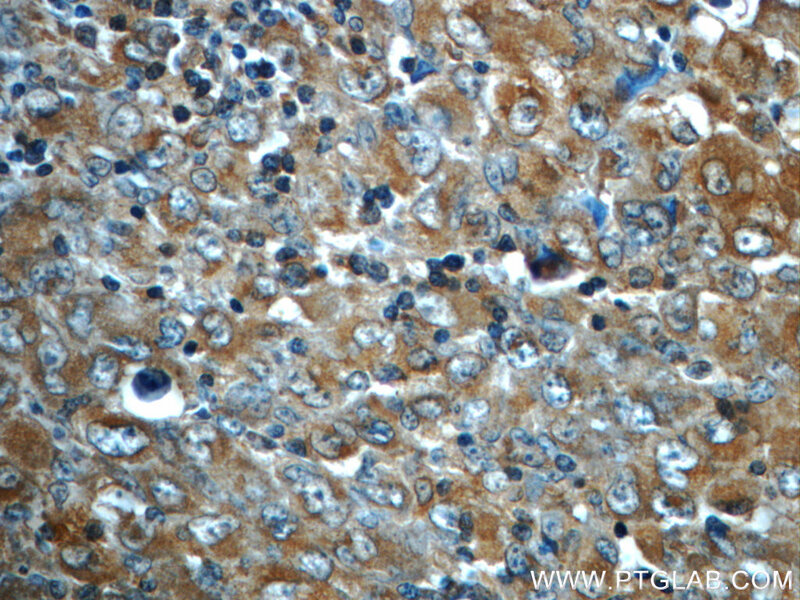 Immunohistochemistry of paraffin-embedded human lymphoma tissue slide using 60321-1-Ig (ALK/CD246 antibody) at dilution of 1:50 (under 40x lens). ALK, also named as CD246, is a receptor tyrosine kinase (RTK) that belongs to the protein kinase superfamily. ALK is usually found in the nervous system and appears to play an important role in the normal development and function of the nervous system. ALK was originally identified as part of the NPM (Nucleophosmin)-ALK oncogenic fusion protein, resulting from the (2;5)(p23;q35) translocation that is frequently associated with anaplastic large-cell lymphoma (ALCL). The EML4 (echinoderm microtubule-associated protein-like 4)-ALK fusion protein have been described in non-small-cell lung cancer (NSCLC), this transforming fusion kinase is a promising candidate for a therapeutic target as well as for a diagnostic molecular marker in NSCLC (PMID: 17625570).